"A close examination of economy and endings in this collection reveals several craft choices made by the author that consistently bolster efficiency and surprise." As a writer, I spend considerable time revising toward compression. I cut, I condense, I push my reluctant self to get rid of unnecessary modifiers and wordy exposition. My goal is to transform each (often-sprawling) first draft into something tighter, more energized, more powerful. Similarly, I focus ample revision attention on endings. As a reader, I love a strong, surprising short-story ending—final lines that are often, paradoxically, a kind of opening-out. I strive for that kind of closure in my own stories. 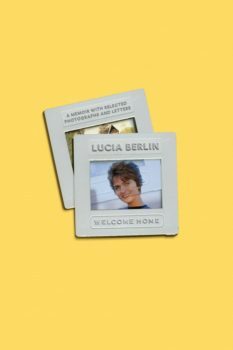 Lucia Berlin’s stories in A Manual for Cleaning Women serve as a model in both of these arenas. Each piece features a remarkable combination of compression and intensity. How is she able to pack so much—a distinct voice, vivid details, understated but palpable emotion—into such short, deceptively simple-seeming stories? A close examination of economy and endings in this collection reveals several craft choices made by the author that consistently bolster efficiency and surprise. He was the best dentist in West Texas, maybe in all of Texas. This passage is not adhering to “show don’t tell.” It’s summary: The narrator is telling us about Grandpa. But it’s efficient characterization (economic) and it works. Berlin can get away with some telling, because there’s plenty of showing in the rest of the story. Elsewhere, the author offers highly specific details about Grandpa, and these accumulate to give us a picture of an odd, eccentric man—one the narrator seems to love, in spite of herself. He won’t let anyone in his dental workshop, where he makes teeth and pastes news stories in themed scrapbooks (e.g., “Crime,” “Texas,” “Freak Accidents”). In the office waiting room, “There weren’t any magazines. If someone brought one and left it there, Grandpa would throw it away. He just did this to be contrary, my mother said. He said it was because it drove him crazy, people sitting there turning the pages.” The office window facing the street features gold lettering that reads “Dr. H.A. Moynihan. I Don’t Work for Negroes.” This kind of hyper-specificity is linked to economic characterization; one unusual, telling detail about a character goes a long way toward making that person feel “real” to the reader. We came to the bridge and the smell of Mexico. Smoke and chili and beer. Carnations and candles and kerosene. Oranges and Delicados and urine. I buzzed the window down and hung my head out, glad to be home. Church bells, ranchera music, bebop jazz, mambos. Christmas carols from the tourist shops. Rattling exhaust pipes, honkings, drunken American soldiers from Fort Bliss. El Paso matrons, serious shoppers, carrying pinatas and jugs of rum. There were new shopping areas and a luxurious new hotel, where one gracious young man took the car, another the bags, and still another gathered Ben into his arms without waking him. Our room was elegant, with fine weavings and rugs, good fake antiquities and bright folk art. The shuttered windows opened onto a patio with a tiled fountain, lush gardens, a steamed swimming pool beyond. Bella tipped everyone and got on the phone to room service. Jug of coffee, rum, Coke, pastries, fruit. So much is accomplished in this one paragraph. The reader experiences El Paso through details of smell, then sound, then imagery. Berlin eschews full grammatically correct sentences and simply lists details, often in groups of three, separated only by commas or only by the conjunction “and.” There’s a rhythm to this pattern; it’s a musical passage. Among the fragments, she intersperses full sentences of description, which prevents the paragraph from becoming one long, potentially tedious list. This is a strong example of how to effectively compress a character’s intense sensory experience into only a few lines of prose. Finally he got me staring at my hands. I saw him almost grin … For the first time our eyes met in the mirror, beneath DON’T OVERLOAD THE MACHINES. There was panic in my eyes. I looked into my own eyes and back down at my hands. Horrid age spots, two scars. Un-Indian, nervous, lonely hands. I could see children and men and gardens in my hands. His hands that day (the day I noticed mine) were on each taught blue thigh. Most of the time they shook badly and he just let them shake in his lap, but that day he was holding them still. The effort to keep them from shaking turned his adobe knuckles white. His name was Tony. He was a Jicarilla Apache from up north. One day . . .
That non-sequitur—jumping out of the story about the Indian at the laundromat, to another (seemingly unrelated) mention of the dying neighbor, and then back to the story of the Indian, Tony—marks the last we hear of Mrs. Armitage. The jump takes up very little space on the page, and but it delivers a hearty dose of subtext. It injects the narrative with another layer. “Angel’s Laundromat” is the story of Lucia and Tony at Angel’s Laundromat, but it’s also (like many/all of Berlin’s stories) about aging, and death, and appreciating the world (with its miraculous rainbows) despite overflowing toilets and all the rest of the daily miseries. I admire so many of the story endings in A Manual for Cleaning Women. They are written in the same unadorned prose as the stories themselves, but they are often surprising—adding new meaning at the last minute, or leading us to see some element of the story from a different angle. A strong ending can play such a powerful role in very short fiction, much like the final line of a poem—and closing with something unexpected is key to impact. One (unusual) way Berlin achieves affecting, surprising endings is by changing one character into someone else in the final line. In “Temps Perdu” (French for “lost time”), the first-person narrator works as a nurse in a hospital. One night she checks on an elderly patient who could not speak—“an old diabetic who had had a massive stroke.” His “little beady black eyes” instantly remind her of the eyes of a boy she loved as child, and she spends the rest of her shift at the hospital (and the rest of the story) alternating between patient care and nostalgia: “I was engulfed with the memory of love, no with love itself.” As the narrative progresses, she recalls various adventures she’d had with the boy, who was one year older and able to read (she was five and could not, yet). They went to the movies together and he would never read her the credits, to her frustration. At the end of “Temps Perdu,” the elderly patient hits his help-request button, and the narrator goes to check on him. I went into his room. His roommate’s visitors had accidentally moved the curtain over his TV as they left. I pulled it back and he nodded at me. Anything else? I asked and he shook his head. The credits for Dallas were floating up the screen. “You know, I finally learned to read, you dirty rat,” I said and his BB eyes glittered as he laughed. You couldn’t tell really—it was just a wheezing rusty pipe sound that shook his zigzag bed, but I’d know that laugh anywhere. At the start of the story, the patient reminded her of her childhood love. In the end, after hours of reminiscing at work, the patient becomes her childhood love. Of course, we don’t take this literally; it isn’t magic realism. The final lines are meant to convey the intensity of the narrator’s memories, the intensity of how it feels—strange, jarring, emotional—when someone reminds you of so much of someone else you cared about, in your long-distant past. She hears someone drive up slowly to the phones. Loud jazz music comes from the car. Henrietta turns off the light, raises the blind by her bed, just a little. The window is steamed. The car radio plays Lester Young. The man talking on the phone holds it with his chin. He wipes his forehead with a handkerchief. I lean against the cool windowsill and watch him. I listen to the sweet saxophone play “Polka Dots and Moonbeams.” In the steam of the glass I write a word. What? My name? A man’s name? Henrietta? Love? Whatever it is I erase it quickly before anyone can see. In those final lines, Henrietta and the narrator merge. They become the same person, despite the distinction between the two, detailed earlier in story. What is the impact of this sudden shift? For one, it’s surprising in its oddity. It injects new meaning to the story: it was a story about the construction of a story, and now it’s also about the way a writer embodies her characters—how even characters who are not autobiographically identical to their creators can still exist on the page as a version of the author. 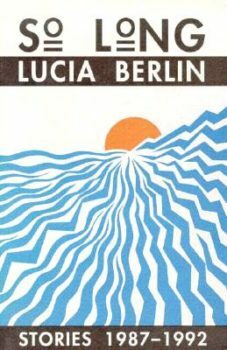 These last lines also seem to tell us something about Berlin’s work as a whole—she writes in both first-person and third-person, sometimes with a narrator named “Lucia” and sometimes not, but in reading her stories, we often feel like Berlin is the central female character. It’s something in the consistent voice, in the secondary characters and themes that come up again and again. Perhaps the ending of “Point of View” is telling us that such an instinct about Berlin’s work is correct, albeit in an artistic (rather than literal) way. Another form of ending in Berlin’s collection could be thought of as the “deceptively simple image” ending. The author ends the story with a seemingly mundane sentence. Earlier in the story it might not have had much resonance, but because of its placement at the very end, after everything that’s come before, the words reverberate with meaning. This is a compelling ending strategy for those of us drawn to the elevation of the everyday in fiction. The motorboat was coming in just as La Ida [the fishermen’s boat] passed the Terascan wall, out to sea. The men waved across the water to Eloise, briefly. They were checking their regulators, strapping on their weights and knives. Cesar checked the tanks for air. Rather than trying to spell out meaning for the reader—rather than having the protagonist reflect or analyze or emote—the last line is a workaday image: Cesar checking the scuba tanks, as he does each day on the way out to sea. But it means so much more at this point. The oxygen tanks are the lifelines for the divers; this trip—and Cesar himself—was a lifeline for Eloise. In the evenings, after dishes and laundry, correcting papers, there was TV or Scrabble, problems, cards, or silly conversations. Good night, guys! A silence then that she celebrated by doubling her drinks, no manic ice cubes now. If they awakened, her sons would stumble upon her madness which, then, only occasionally spilled over into morning. But for as far back as she could remember, late at night, she would hear Keith [one of the older boys] checking ashtrays, the fireplace. Turning out lights, locking doors. This had been her first experience with the police, even though she didn’t remember it. She had never driven drunk before, never missed more than a day at work, never … She had no idea of what was yet to come. Flour. Milk. Ajax. She had only wine vinegar at home, which, with Antabuse, could throw in her into convulsions. She wrote cider vinegar on the list. It’s about as mundane as you can get: Writing something on a grocery list. But this last line is so powerful because of why she has to write it—she can’t use the vinegar she has at home, because she might die if she consumes it. So she dutifully plans to buy an alternative. But we already read a few lines earlier that her serious drinking problems are just beginning—“She had no idea of what was to come”—and this stays with us during her simple act of writing cider vinegar on the list. It won’t be the last time she’s in detox, it won’t be her last time away from her kids because of her drinking, it won’t be the last time she tries to make it up to them by making lasagna, it won’t be the last time she’s on Antabuse and must substitute cider vinegar. None of this is spoon-fed to us; it doesn’t need to be. Christina Ward-Niven is a writer living in Charlottesville, Virginia. Her fiction has appeared recently in Virginia Quarterly Review, and she won second place in American Short Fiction’s 2016 Story Contest. She holds an MFA in Fiction from Warren Wilson College’s Program for Writers.